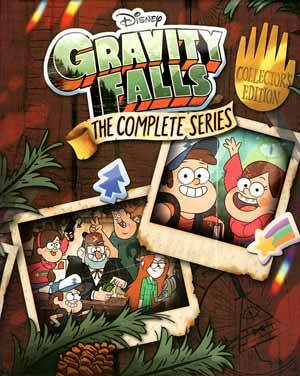 Gravity Falls: The Complete Series is the only way to get all of the episodes after Disney only released various episodes in different volumes, but thanks to Shout we get them all in one set. 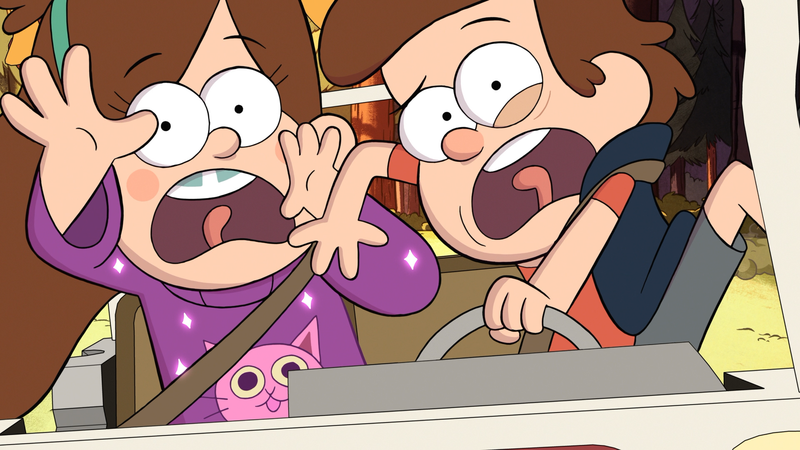 Synopsis: Twelve-year-old twins Dipper (JASON RITTER) and Mabel Pines (KRISTEN SCHAAL) are sent to the sleepy forest town of Gravity Falls, Oregon to spend their summer vacation with their great uncle “Grunkle” Stan (ALEX HIRSCH), a shady, carnival-barker-like con man who forces them to work at the Mystery Shack, Oregon’s lowest-rated tourist trap. Although the Shack is filled with hoaxes and fakes, the town itself seems to be hiding a paranormal dark side, with monsters and mysteries around every corner. When Dipper stumbles upon an elusive book hidden in the forest, he realizes it just might hold the secrets to understanding the town. Soon, conspiracy-obsessed Dipper and goofy, carefree Mabel realize they must rely on each other to survive their crazy, new world. Meanwhile, Grunkle Stan guards a secret of his own — one that just might hold the key to unlocking the deeper mystery that is Gravity Falls. 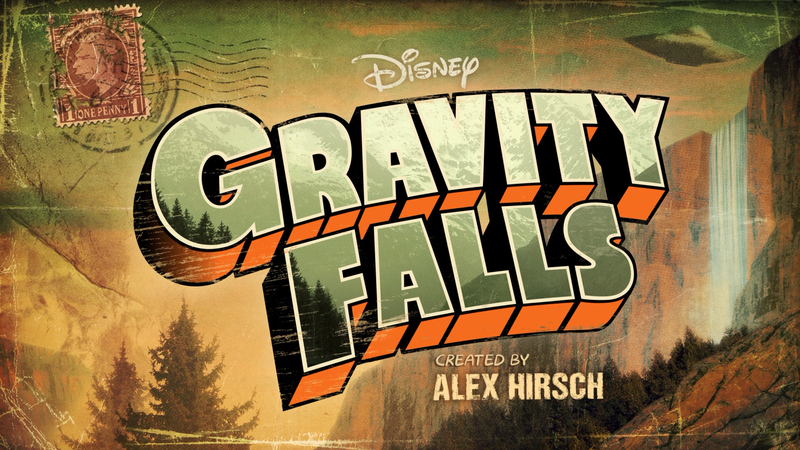 Quick Hit Review: Gravity Falls was a popular cartoon series that aired on Disney XD from 2012 to 2015 with a proper finale in February 2016 and was a cross between Twin Peaks and The X-Files (more on the former though). Personally, I had never heard of the show but that’s no surprise as outside of Adventure Time, I generally don’t pay much attention to animated shows. Watching it now, it’s an incredibly fun, and funny finding myself genuinely laughing a few times in each episode, show that both children and adults can enjoy. The two seasons and single-disc each come housed in their own HD slim cases which side-slides into a sturdy outer box. Strangely, the individual cases are blank and inside are episode lists and/or bonus features. One Crazy Summer (1:46:38; HD) is a massive documentary, looking back at the series with interviews by members of the cast and crew. The Hirsch Twins (16:07; HD) – Alex and Ariel Hirsch remember their own summers growing up. 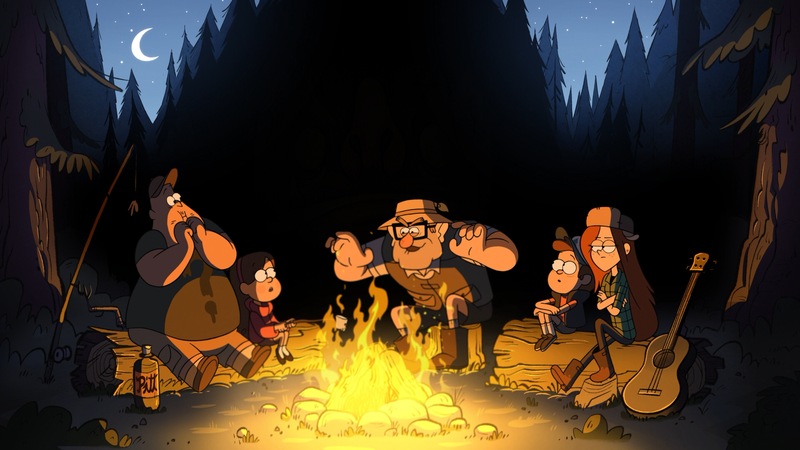 Between the Pines (22:06; HD) is a behind-the-scenes special that I assume aired on Disney XD. Deleted Scenes (1:02:03; HD) – This is a collection of scenes that didn’t make on the show with the creators watching storyboards and narrating. Kind of unique, I must admit. Shorts include Dipper’s Guide to the Unexplained (13:28), Mabel’s Guide to Life (11:56), Fixin’ it with Soos (4:35), TV Shorts (5:05), Mabel’s Scrapbook (4:50). Shout Factory releases Gravity Falls: The Complete Series where it’s presented with a 1.78 widescreen aspect ratio as originally televised and of course this is a bright and colorful looking picture and relatively clean with minimal instances of banding. Each episode comes with both a DTS-HD Master Audio 5.1 and 2.0 tracks, the former being the default option. This isn’t anything amazing since it is animated, but dialogue levels come through the center channel with good clarity and the surrounds get some reserved usage yet nothing especially remarkable. Overall, Gravity Falls: The Complete Series is the only way to get all of the episodes after Disney only released various episodes in different volumes, but thanks to Shout we get them all in one set. And what a “Collector’s Edition” this is with commentaries on all 40 episodes and some wonderful bonus material, headlined by a feature-length retrospective documentary.